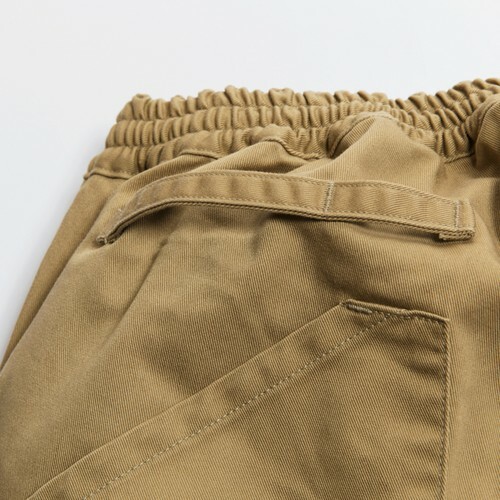 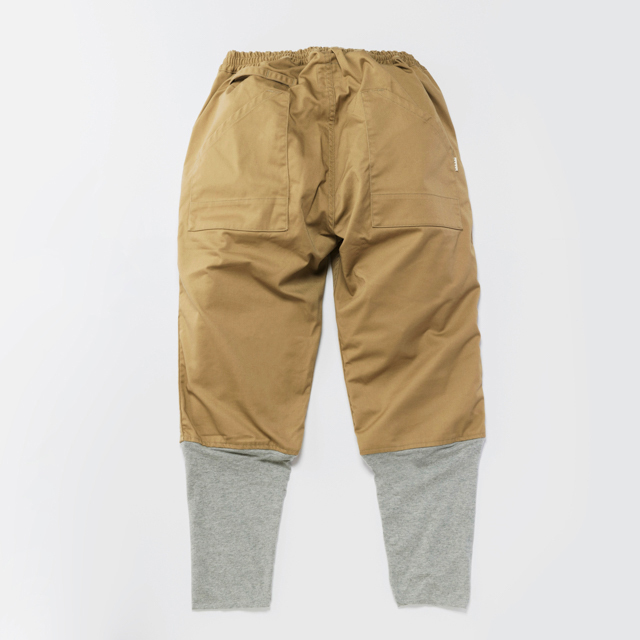 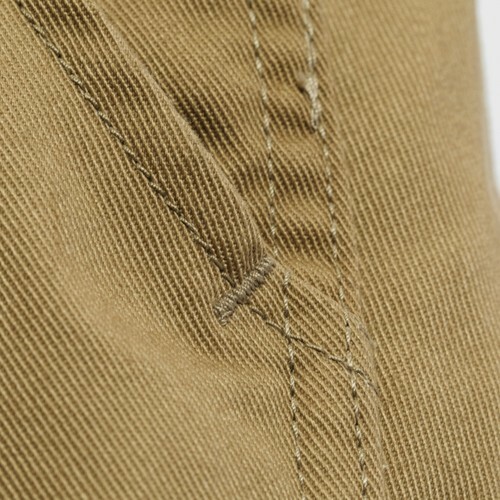 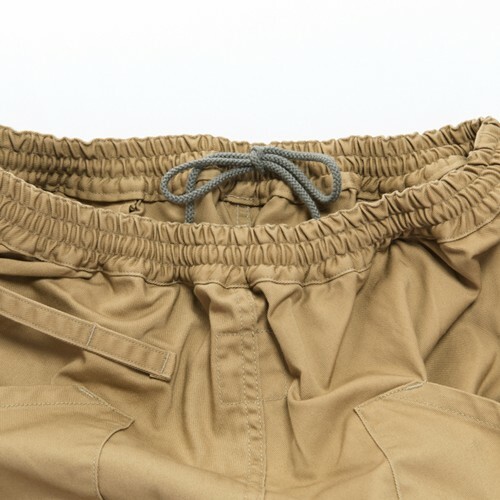 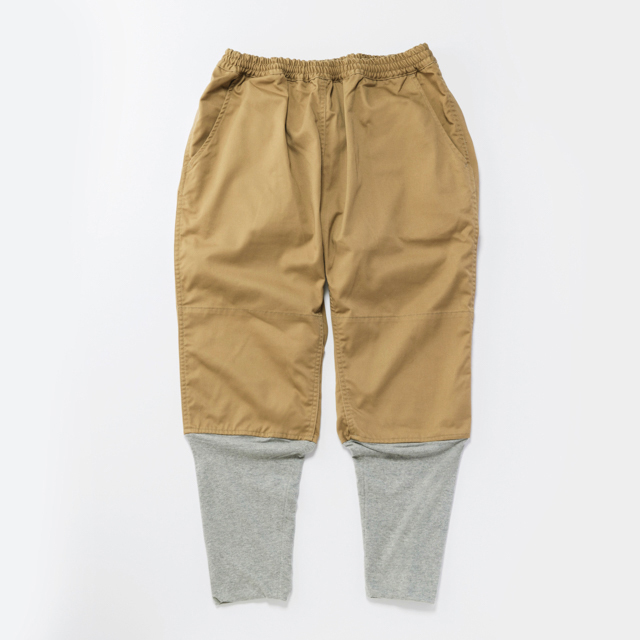 With a single movement you can roll up the bottoms of these pants to your knees easily. The knitted fabric used for the bottom parts and the drop-crotch silhouette allow you to move freely. Highly recommended when you need a frequent adjustment to the temperature and humidity, as well as when you wear rubber boots.